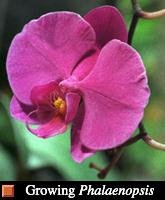 The perception among novice gardeners is that orchids are hard to grow. The truth is: some orchids are hard to grow. If you start with the right type, it can be easy. 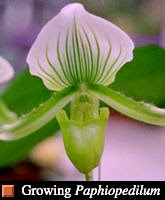 A born window shopper, I have a penchant for orchids that began when I first saw one in the window of a flower shop. I stared in awe at the cascading arch of white flowers. Thinking of my stuffy city apartment -- more like a closet with a window -- I didn't have the nerve to buy such a delicate plant. But around the city, I began seeing these flowers thriving in low streetside windows, even in midwinter. I couldn't imagine that these apartments had much more light than my own. I began to have orchids on my mind. 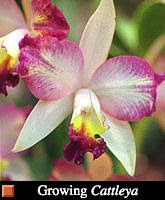 Then I was lured by an advertisement in the newspaper, a question in bold type that read, "What do you do if you want to begin growing orchids?" The answer, in smaller type, was "Go to an orchid show." It was followed by a list of dates and venues, which I took as a promise that all would be revealed if I attended. Five steps into the show I had smelled vanilla, then coconut, then a sharp floral perfume. The sheer variety of species and hybrids amazed me. I didn't know the flower I had been seeing in windows (I learned it is called Phalaenopsis) came in colors ranging from the brightest fuchsia to the purest white, and in spotted and striped hybrids. I became transfixed on a bloom the color of red wine with something sinister about its shape. 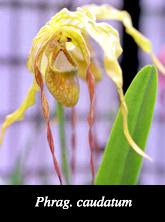 This genus -- known as Paphiopedilum -- includes flowers different from any I had ever grown: one a swollen shape floating in the air like a perfect piece of bubble gum, pink and unpopped; another a yellow and brown flower with leathery petals. I did not leave my first show knowing all there is to know about orchids, but the urge to grow one was irresistible. I did leave the show with pot in hand, plotting where it would sit on my kitchen windowsill and what the color fuchsia would add to the room for three to six months of the year. 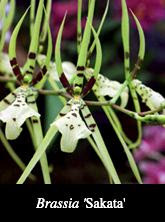 Perhaps these photographs from the 1996 Greater New York Orchid Show will encourage you to do the same by starting with some of these beautiful, easy-to-grow orchids. Some of the most stunning orchid species can be grown in the home without elaborate lights or intensive care. 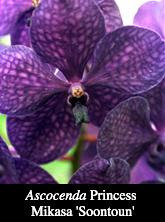 Orchid growers are known to say: "If you can grow African violets, then you can grow orchids. . . . As far as temperature and humidity, if you feel comfortable in the room, then your orchids are comfortable. . . . If you don't know how to grow it, then don't buy it!" I first heard these snippets from Marilyn Rutel, an orchid hobbyist from Westchester County, New York, who presently grows more than 4,000 orchids, and they sounded like genius. Later, in talking to florists and other orchid growers, I heard these phrases repeated again and again, and it occurred to me that they contained good advice but were not much more than logic. You really don't have to be a genius to grow these orchids. Just use common sense. Bringing my first orchid home reminded me of how I felt when I brought home my hard-won goldfish from the county fair. I was very aware that I was responsible for something living, and I wanted it to remain that way. This recognition goes a long way in orchid culture, since an orchid must be given the basic necessities for just about all living things: light, water, air, and nutrients. Temperature and humidity come into play, but in fact your home conditions are quite similar to those of the natural habitats of these three easy-to-grow orchids: phalaenopsis, paphiopedilum, and cattleya. After mastering the culture of any of these three windowsill orchids, you may be ready for more challenging and more exotic flowers. Once you reach this level, it's time to attend another show, for nowhere else will you be given so many options in one place. I asked Morty Kostetsky, a trustee of the Manhattan Orchid Society, what flower shouldn't be missed when viewing the 1996 show. He shook his head and said I had asked a bad question. "Whether it's the size of a flea or ten inches across, each has its own individuality and beauty," said Kostetsky. "Some bloom one week per year, some ten months per year, and then there are all those in between." Orchids do have an appeal that easily crosses over to obsession. 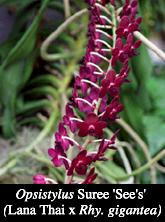 You may want to invest in grow lights or even build a hothouse, provided you have the time and space, to simulate the climate of more exotic orchids, though there are other species from the mountains that need cool conditions to thrive. An aspect of the hobby that appeals to many is self-education, whether it involves conducting personal research on your new hybrid or joining an orchid society to hear what works for others. It's constant learning, and for many, that's what makes it fun. 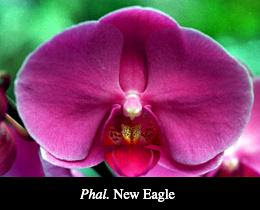 As you can see in the variety of this photo selection, orchids come in shapes and colors you've never dreamed of. With 125,000 orchid species, there's a lot to grow and learn. Japanese silver grass is as beautiful as its common name sounds. 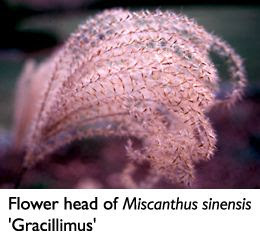 Most members of the genus, whose botanical name is Miscanthus sinensis, are elegant plants with a sheaflike habit. Narrow at the base, the clumps rise to five feet or more and fan out at the top. In summer, the different varieties provide an exquisite background for the large, colorful flowers of daylilies and other perennials. The fine, complex pattern of their blades fills the negative spaces among the perennials and knits the garden together. But these grasses really come into their own in the fall, when other perennials are flagging. Japanese silver grass is a true four-season plant. Flower heads appear in September and October, rising above the top of the clump. At first the wispy clusters look like drummers' brushes, but as the seeds mature and the head dries it fluffs out, becoming a silvery, silken plume that is decorative in the garden or in the house. In winter, the dry stalks and leaves turn subtle shades of old gold, beige, and parchment and hold their graceful carriage. Bowed down by heavy rain or snow, they usually resume their upright position as soon as the foliage dries. Lightly dusted with snow, they are at their beautiful winter best. 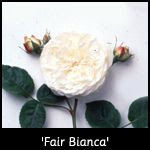 The different varieties and cultivars rejoice in nicknames of their own. 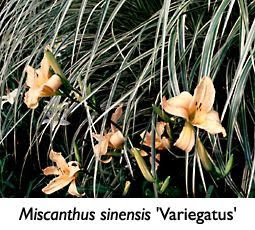 M. sinensis 'Gracillimus' is commonly called maiden grass, though 'Gracillimus' seems much more appropriate, considering the extreme refinement of its thin, green blades with white midribs. 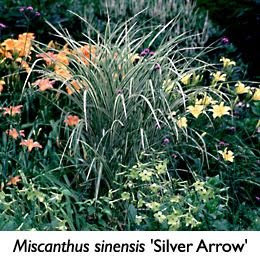 M. sinensis strictus is aptly known as porcupine grass for its rigid green foliage attractively marked with creamy yellow horizontal bands. A similar species with horizontal yellow markings, M. sinensis zebrinus, received the name zebra grass. Porcupine grass is more desirable because of its neat, upright habit. Fast-growing clumps of zebra grass tend to fall open in the center. While M. sinensis variegatus has no common name, it is well known and deservedly popular for its gorgeous, vertically striped cream and green blades that rise up in a lovely fountain shape. Cream seems to predominate, and a mature clump is as bright and eye-catching as a flowering shrub. 'Silver Arrow' is a choice cultivar with six-foot green blades neatly lined with white. More vertical in thrust than the variegated form, the overall color is a pale, silvery green. Native to both China and Japan, these handsome grasses flourish in American gardens from Zones 5 through 9. They are easy to grow and long-lived. 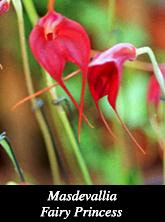 They resist deer, diseases, and insects, and they are drought tolerant. You can't ask much more than that, but in addition, miscanthus grasses require a minimum of maintenance. Give them full sun, and cut them down to the ground in the early spring so that the new foliage will not have to struggle up through last year's growth. In selecting a site for your grasses, try to get them in the right place the first time because they are difficult to move. They have very long, deep, wiry roots. Division should be done in the early spring. Cruel as it sounds, an ax is the tool of choice. Don't try to dig up the whole clump. Instead, leave it in the ground and hack it into quarters. Keep one quarter in place and remove the other pieces. The remaining quarter will soon be large and lovely once more. Can English Roses Thrive In American Soil? Can English roses thrive in American soil? An expert says they can, with just a bit of translation. Admit it. Like most Americans, you're just a little bit intimidated by things English. The accent, the pageantry, even the warm beer — they all make us feel just a tiny bit cruder than our English cousins. Lately even their gardens have seemed out of our league, as the buzz spread about glorious, superior "English roses." Never fear. Clair Martin, the curator of rose collections at the Huntington Botanical Gardens in San Marino, California, has taken some of the mystique out of the British blooms. His new book, 100 English Roses for the American Garden (from Smith & Hawken and Workman Publishing; $16.95), describes plants that will get on famously in American soil. 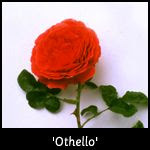 Just what makes a rose "English," anyway? As it turns out, the term refers to a group developed by British hybridizer David Austin in the 1950's. 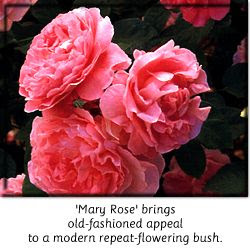 They were bred to combine the best traits of old roses — beauty, charm, and fragrance — with the continuous blooming quality and color range of modern hybrids. Clair Martin first discovered the David Austin hybrids on a trip to Australia and New Zealand ten years ago and knew he had to have some in his collection. "I had no information on how these particular roses did in my climate specifically, so I just took the catalog information I had from Austin and planted them accordingly," he says. "Working in a public garden, I had to figure out which are the big ones and plant them to the back of the border and the smaller ones in the front." Martin's trial-and-error method yielded imperfect results at first, but his experience has taken a lot of guesswork out of growing these roses in America. Martin discovered the hard way that English roses can indeed flourish on this side of the Atlantic. For example, 'Gertrude Jekyll', a rose that's supposed to grow to three or four feet, passed the ten-foot mark in California. "It was a problem," says Martin. "The guy who rides the lawn mower around the garden was mad because the roses kept hitting him in the face. When he'd see me in the garden, he tried to run me over with the lawn mower!" Martin took extensive notes on how tall each plant grew, the essence of each rose's fragrance, and which plants had the fewest diseases. 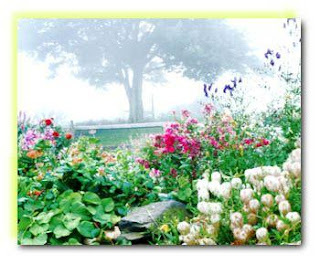 These notes are the backbone of his book, which is meant as a consumer's guide; take it to the garden center to select the hybrid that grows best in your area and that best suits your personal taste. So why isn't everyone growing English roses? "Just mention the word rose and a lot of people are turned off immediately," says Martin. "They think roses are difficult plants." Not so, he says. The key to simplifying rose care, though, is the research before the purchase. The plants most appropriate for your area will require the least amount of work, and the best place to start your research is in your own neighborhood. "See what grows well in your neighbor's yard and ask them what they are growing," says Martin. "Botanical or public gardens, where plants are often labeled, are an excellent resource for finding roses that stay healthy in your climate. And your garden center professional can also be very helpful. While their goal is to sell, they realize that if you're unhappy with their advice, you'll choose another nursery in the future." You can buy a good rose just about anyplace today. I don't often buy roses from the grocery store, but you can. If it doesn't look fresh, don't buy it. Even if it's a dollar ninety-eight, it's not worth it. You'll be sorry in the long run, because it will probably die. Buy in early spring. Most of the roses sold in the United States have been grown in California and were dug from October to December. The sooner you can plant a rose in the ground, the better it will fare. Buy the best grade of rose you can. 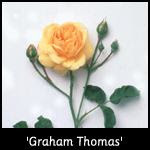 The garden centers make a big deal about selling only number one roses (the top grade). I would never plant a two, but most people can get by with a one and a half if they give a little bit of extra care. If the roses are not top grade, they will be labeled. The 'Lillian Austin' is named after David Austin's mother. The rose you buy should have three strong canes and a large root system. The canes need to be firm and crisp. If they look wrinkled or dried, or they're turning brown, then I would be worried about that. Most people don't realize that roses are very much full-sun plants. We start out with every good intention and plant them out in full sun. But as gardens grow, trees get larger, the plant matures, and the space for sunlight reduces. It's really important that you give roses eight hours of sun a day or more. Once you get down below four to six hours, you're going to have probably fifty percent less flower production. I probably wouldn't try a rose if there is less than four hours of sun. Does your garden space consist of a small concrete terrace rather than rolling acres on the lower forty? Don't despair. Designer Rebecca Cole explains how to make the most of what you've got with container gardening. Maiden grass sways in the breeze as white birch trees shimmer in the light. A thick clump of white daisies cools down a blazing red cotoneaster shrub. A tiny yellow bird lands on a branch nearby, searching for berries. Off in the distance rises...the World Trade Center. The World Trade Center? Yes, we're in the middle of New York, in the heart of hip Chelsea, in a rooftop garden produced for a client by designer Rebecca Cole. Cole (not to be confused with Rebecca Kolls, the woman behind Rebecca's Garden) has a new book called Potted Gardens about container gardening, or gardening in pots and other objects rather than in the actual earth. Cole has lived in New York for 12 years, and as a passionate gardener and a passionate antique collector, she's been gardening in containers the whole time. "I love antiques and can't pass up anything great," says Cole, who has spiky blond hair and green eyes. She ran out of space in her small apartment for the boxes, pails, trunks, and washtubs she acquired, so she began to garden in them and put them to practical use. Friends, and then friends of friends, asked her to re-create the look for them. A business was born for the former stage actress, and Cole now maintains 35 gardens in New York and designs flower arrangements for parties. Three years ago, she opened a shop in Greenwich Village to display her gardening style. "I don't like symmetry and lined-up pots with an even number of plants in each," says Cole, who's wearing blue coveralls and carrying as a handbag a round leather hatbox from Florence. "I try to create a rustic beauty, not a little pretty floral beauty. I garden like an artist paints. It's an incredible way to express yourself." One customer was a literary agent who asked her to write a book. "There weren't very many good books on container gardening," says the designer, opening her bag to retrieve her sunglasses. "I wanted to get my ideas out there." "I think gardening is really personal," says Cole. She is particularly averse to typical terraces lined with plastic pots filled with symmetrically arranged annuals. "There are three or four local nurseries in New York that do gardens, and I think half of the work I do for my clients is about ripping out the nurseries' gardens and doing them over," she laughs. Cole likes to garden in found objects. "I can't see going out and buying a new plastic or terra-cotta pot, because there is always something interesting right around the house that you can use," she says. She prefers primitive, simple country antiques — wooden boxes, tin cans, iron tubs. "I like rusty old textured pieces that look more like nature than new plastic pots," she says. Which doesn't mean she'll stick a plant in just anything. "People are always leaving things outside my shop, but I'm not going to put plants in a toilet just because it has a hole in the bottom," she says. "The object must be beautiful." This potted garden looks like it grew naturally. Cole prefers a mix of two-thirds perennials and one-third annuals. She likes meadow or prairie plants and prefers a natural, wild effect. Purple coneflower (Echinacea purpurea), black-eyed Susan ( Rudbeckia fulgida), and blue salvia (Salvia farinacea) often are found in her gardens. Yarrow (Achillea millefolium), lobelia (Lobelia cardinalis), and lavender (Lavandula augustifolia) are also preferred. Although carefully planned, Cole's gardens look as if they were planted by nature itself. "Nature is my teacher," she says. "I try to re-create it in some way." Cole likes gardening with containers because it's easy to play around with the positioning and heights of plants. Another advantage over in-ground gardening is that different kinds of soils can be brought in for different plants. "And you need fewer plants than when you garden in the ground," she says. "When you put a plant in a container, you're creating a visual focus. You get more bang for your buck." Cole thinks of a garden as a room. Where are the walls of the room? What is the furniture? Where are the paths? "The reason I have a store is that I'm as much in love with the furniture and the architectural elements as I am the plants," she says. "A garden is like a 3-D painting, and the plants and the containers and the furniture are all pieces of it." She stays away from typical garden furniture, favoring pieces you can use in the living room and drag out to the garden. "Instead of buying a potting table from Smith and Hawken, I'd rather put out a hundred-year-old table with a couple of benches stacked on top for the shelves," she says. The designer takes her inspiration from her surroundings. In the city, she describes her gardening style as "urbanish." "I like that there are buildings around," she says. "I don't want to see a cute little country trellis on a terrace in the city. If you're in the city, you need to love that there are smokestacks and pipes. Instead of hiding them, grow plants that highlight them as interesting architectural elements." In the country, Cole planted Russian sage in a carriage. Besides living in an apartment in New York, Cole owns a house in New Hampshire. ("Six and a half hours away," she groans, "but the cutest town you've ever seen.") As a child, the Pittsburgh-born Cole spent summers in New Hampshire with her grandparents, and her new house is not far from where they lived. "My grandfather was an incredible gardener," says Cole, "and the beauty of what he did definitely inspired me." In New Hampshire, Cole gardens with "more country things," growing plants in wheelbarrows, for instance, and using old garden gates as trellises. "My approach is a combination of European gardening style and not ever having enough money to buy anything else," says Cole. But what do you do when the snow falls, or if you don't have access to outdoor space? Try your hand at potted plants indoors. Again, Cole recommends plants that would naturally be found in your area. "The most commonly used indoor plants in the United States are tropical plants because they do not like to get cold, but I say if a plant grows naturally in Ecuador, it should stay in Ecuador," says Cole. Plants, even indoor plants, should look natural to your region. Plants thrive in this window box made from an old shutter. "People come into my store all the time wanting a houseplant that blooms all year round," says Cole. "We ask a lot from our houseplants." Instead, says the designer, go for a plant that has lush, healthy foliage all the time. Indoors, she often uses ivies, creeping fig, and ferns. She also likes baby's tears, a plant with "little tiny clover leaves in limey green that's really, really sweet." When working with indoor plants, think about the plants outside — "I think it's better if you look out the window and see a similar leaf. It looks more natural." Don't get a round pot and put a dracaena in the middle, surround it with geraniums, and put ivy on the outside. This is what everyone does in pots, and I defy you to look at nature and see if nature ever does anything like that. Always water container gardens. There is never enough rain for containers. Feed container gardens regularly with plant food such as Miracle Gro, because there are no worms and other things giving natural nutrients. On a rooftop, don't forget weight issues. Put Styrofoam peanuts in the bottom of pots to keep them light. Don't listen to anyone about the limitations of what can grow in a container. Almost anything can grow in a container as long as you give it the right elements. The container needs to match the plant somehow. If the container has a color, use that color in the planting. Don't create an abrupt change in height, like a really tall plant with a vinca vine hanging down. Nature goes down gradually. A container always needs drainage, or holes in the bottom. What's the best way to plant a rose? At a well-chosen site (one with lots of sun and good drainage), dig a hole three feet deep and two-and-a-half feet wide. Mix one cup of triple superphosphate with the soil at the bottom of the hole (to encourage root development). If your soil is iron-deficient, throw in a couple of nails. After placing the plant, fill the hole with a mixture of 50 percent loam and 50 percent aged cow manure. Moisten the soil to remove air pockets both before and after planting your rose. In warm zones (7 and south), position the bud union just above the soil, where the sun can reach it, to encourage new growth. In colder regions, protect the bud union by placing it an inch or two below the surface. What's the ideal soil pH for raising roses? A reading between 6.5 and 6.8 is best. How much water do roses need? In warm weather, five gallons a day is about right, unless soil is heavy. A top dressing of aged cow manure will help retain moisture, as will a handful of hydrogel crystals added to the soil at planting time (pre-expand the crystals first). A drip-irrigation system has the advantage of directing the water straight to the roots, leaving disease-prone leaves dry. When, and what, should I feed my roses? Do not overfeed your bushes — once every three months is usually sufficient. Nitrogen-rich homemade blends tailored to your own soil are excellent; slow-release Osmocote (available at garden centers and nurseries) is good, too. Which is the better manure: horse or cow? Mike prefers aged cow manure, as it contains fewer weed seeds than horse. What can I do about Japanese beetles? Grow once-blooming old garden roses, such as the Gallicas. The beetles make their appearance after these roses have finished. Or, consider planting a decoy, such as concord grapes, in a distant corner of your yard. Remember, though, you might attract your neighbor's beetles, too. Do use clean, sharp pruners, which won't spread disease or tear stems. Don't overprune climbers, which bloom on the previous year's growth. Early spring removal of diseased and damaged canes should suffice. 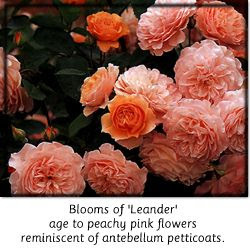 Do deadhead remontant varieties to encourage rebloom. Do prune the healthy canes of hybrid teas and shrub roses when the forsythia blooms. Cut back to just above an outward-facing, dormant bud; in the North, to about 13 inches from the crown, in the South, to 22 inches or so. Don't allow borers and other pests to wreak havoc on exposed stem tissue. Paint the raw ends of freshly pruned canes with clear nail polish or white glue. 1. When altering old stone walls or foundations, proceed with care. Removing a single rock can cause the entire structure to shift radically or even to tumble completely. 2. Protect toes and feet by wearing heavy shoes; steel-toed work boots are best. Wearing sneakers is never a good idea. 3. Wear a hardhat when adjusting or placing rocks above shoulder height. 4. Remember that old stone walls and foundations are favorite housing sites for all sorts of insects, including spiders and wasps. In addition, poisonous as well as nonpoisonous snakes often take up residence among the warm rocks of old walls. Be alert to these and other varmints. 5. Thick gloves will protect hands against blisters, cuts, and chafed skin. When combined with long pants and a long-sleeved shirt, they will also ward off poison ivy encountered during the excavation of old stone ruins. *Moss Phlox (Phlox subulata, Zones 3 to 8), also called creeping phlox, forms a thick, spreading mat of bright green. This hardy perennial blooms in late spring. Choose from white, lilac, or pink forms. *Wild Strawberries (Fragaria vesca, Zones 5 to 8) bear tasty, tiny fruit and dainty flowers in pink, white, or red. F.v. 'Semperflorens', sometimes calls alpine strawberry or fraise des bois, flowers twice, in spring and autumn. The new hybrid 'Red Ruby' features scarlet flowers and glossy foliage. Because strawberries spread by runners and can thus be invasive, they make ideal candidates for walls in situations where they might not be welcome in garden beds. *Stonecrop (Sedum acre, Zones 5 to 9) flourishes in stone walls, where drainage is excellent and soil is warmed by rocks that retain the sun's heat. S.a. 'Elegans' boasts tiny, star-shaped yellow flowers all summer long and leaf tips dipped in silver. *Evening primrose (Oenothera speciosa 'Rosea', Zones 5 to 8) flaunts cup-shaped blossoms in pink to red-violet. In warmer regions (Zones 9 and 10), desert evening primrose (O deltoides) flaunts white blossoms that age to pink. *Grecian windflowers (Anemone blanda, Zones 4 to 8), spring- flowering tubers, offer an extended period of bloom (up to three weeks) and a wide color range (white, and many shades of blue and pink). A.b. 'Atrocaerula' is perhaps the most intensely blue of the group. It is one of the many paradoxes in gardening that the best soils for starting seedlings indoors contain no real soil at all. Ordinarily, weed seedlings sprout and grow in profusion in any speck of open ground. So what's the big deal with using some topsoil for starting seedlings? Why can't we just dig up a little good earth and set it aside for our winter work. As simple and as natural as that answer might seem, the truth is that using real topsoil brings several problems to container culture and especially to seed starting. Outdoor soil is too heavy and too compact for good air circulation. It also holds too little air and carries too many disease organisms. True soils—which are mostly minerals with perhaps 5% to 10% organic matter if the soil is very rich—are heavy, prone to compaction and hold relatively little water. But even more important, natural soils are very likely to harbor the disease organisms that cause damping-off and root-rot diseases in seedlings. If you use real soil, you risk losing your seedlings, unless you pasteurize the ground with heat—not an easy task and not something you want to do in the house because of the horrible odor invariably produced. So instead the world has turned to soilless mixes. On this point the largest commercial growers and most of the best gardeners agree. Today's soilless mixes are mostly sphagnum peat moss, plus vermiculite and often a little perlite. The sphagnum peat used in good seed-starting and growing mixes is a very stable organic material that holds a great deal of water and air and does not decompose quickly. Both vermiculite and perlite are natural minerals that at very high temperatures pop like popcorn. Once expanded or popped, they are very lightweight and porous. In a soil mix, they improve both air circulation and water drainage. Perlite retains no water itself, vermiculite a little. All three of these basic ingredients are naturally disease-free. The movement away from real soil in potting ms began about 60 years ago, in an attempt to eliminate soil diseases that were plaguing the nursery industry. The first alternatives were mixtures of sand (or very sandy soils) with ground-up (or milled) sphagnum peat. But these still needed to be heat-treated to kill disease organisms that came in on the sand. The effort culminated in the early 1960s in research at Cornell University that produced the "peat-lite" formula. Classic peat-lite is half milled sphagnum peat and half vermiculite, though sometimes a small portion of the vermiculite is replaced by perlite. Although you can buy true peat-lite mixes from many suppliers, most of their formulations will contain a higher proportion of peat, around 75 percent, simply because most growing-mix producers are peat bog owners, and they have more of it than anything else. Firms that serve the nursery industry, such as Pro-Mix, Fafard or Baccto, may offer as many as 10 slightly different formulations, all essentially slight variations on the peat-lite formula. Most variations have arisen to suit local preferences of commercial growers or to allow the producers to make use of the resources at hand. These high-peat mixes work just fine, both for starting most kinds of seed and for growing the transplants on in larger containers. All good growing mixes also contain a very small amount of ground limestone (usually dolomite) to correct the acidity of the peat and to help buffer against the varying acidity and alkalinity of local water supplies. Dolomite supplies some calcium and magnesium to plants. The mixes also include a wetting agent (tested to be safe for plant growth) to help wet naturally water-resistant dry peat. Most mixes contain a very small amount of fertilizer, often referred to as a nutrient charge, as well. Most of this will leach out within two weeks after irrigation starts. In fact, many suppliers recommend that liquid fertilization begin as soon the first true leaves appear on seedlings. You could easily get confused with all the choices on the shelf in garden centers and nurseries. The root of the confusion lies in a fine old gardening term "potting soil." Many mixes good for seed starting are labeled potting soil. But other things called potting soil are not very good at all for seed starting and are sometimes inappropriate even for container growing. You can be most sure of what you are getting in mixes labeled "seed starting" or "germinating." The ingredients of germinating mixes are the same as in peat-lite: high-quality sphagnum peat, fine vermiculite and often perlite, a very small quantity of limestone, a wetting agent and enough fertilizer to last through two or three waterings. What defines a germinating mix, beyond these ingredients, is that the mix has been screened to be very fine. Germinating mixes are designed for very small seeds like petunias or impatiens and for filling small-sized containers and plug cells quickly. Unfortunately, some products traditionally labeled potting mix can include a multitude of ingredients, not all of which are particularly good for seed germination and root growth. You must read the label to know what's really in the bag. If the label doesn't say, stay away. The primary ingredients in the kind of mix you want should be milled sphagnum peat (typically from 50 percent to 80 percent), vermiculite and perhaps perlite. Avoid mixes containing sand, manure, topsoil or muck peat. These materials are too heavy and do not have the water- and air-holding properties of a good germinating or growing mix. Fortunately, the trend toward clear and useful labeling recently has come to the growing-mix industry. Though neither mandatory nor completely uniform, the labels of most reliable suppliers describe the content of their various mixes clearly. The most common ingredient is listed first (often with the percentage), followed by the lesser ingredients in descending order. Labels do not always indicate whether the mix contains a starter fertilizer, because doing so would subject the mixes to regulations for fertilizers, which clearly the mixes are not. Soilless growing or germinating mixes are sold in plastic bags. The material will be either loose (in a broad range of sizes from one quart up to a 40-pound bag) or in compressed bales (about 70 pounds). Compressed bales yield almost twice the volume on the label when you dig out the amount you need and fluff it up. You can buy mixes in three very different places. Superstores with gardening sections -- Home Depot, Lowes, Kmart, Wal-Mart and countless others -- will have a wide choice of brand names and will offer smaller packages. At local nurseries and garden centers, the choice in brand names will narrow, but there will be a full line of soils, some of them in larger sizes. At a retail nursery that produces at least some of its own plants from seed or cuttings, you have the narrowest but perhaps best choice of all: the mixes that professional growers use themselves. Very often the owner will sell a bale or large bag. These materials cost from $8 (for a 40-pound bag) to $14 (for a 70-pound bale) wholesale. So even if you pay twice that, you are getting a tremendous bargain if you can find a grower willing to sell some, and increasingly many growers will do that. If you keep the bag tightly closed and protected from the rain, the material will keep well for more than one season. The plastic covering on commercial-sized bags and bales is usually treated with ultraviolet light inhibitors, giving the material about a one-year life when stored in the open. But all materials should be kept closed tight to keep out disease organisms and maintain the moisture level of the material in the bag, which should be just very slightly moist. Where to find a good seed mix: The following companies manufacture high-quality seed germination soil mixes. If you can't find one of them at your local garden center, call or write the manufacturers and ask them to help you find the nearest supplier. The quality of professional seed-starting and growing mixes is so high that there is little reason for anyone to bother with the dusty job of mixing their own. Still, if you somehow can't find a good one to buy, the recipe for a peat-lite mix is very simple: Make the blend between half and three-quarters milled sphagnum peat moss and the rest horticultural-grade vermiculite. For maximum air circulation and water drainage, substitute perlite for half the vermiculite. If the peat is coarse or lumpy, break up clods and take out large pieces with your hands, or use a 1/4-inch screen. Mix in some dolomitic limestone, at the rate of five pounds per cubic yard of mix. It's important to incorporate the lime thoroughly through the mix. At least one day before you plan to plant, sprinkle the mix with water to allow it time to permeate the peat. Rather than trying to mix in fertilizer, it's better to wait until seedlings are up and then begin feeding with a nutrient solution right away. Editor-at-Large Shep Ogden grows many hundreds of seedlings each year in his capacity as president and chief evaluator for the Cook's Garden seed company. "A few years ago," he told me recently, "I did an absolutely minute analysis of the costs involved in making my own seed-starting mix. I did time studies and I did it down to fractions of a cent. And as much as we would all like to make everything from scratch from a purist's standpoint, there's no way I could justify mixing my own potting soil." Ogden now uses Pro-Mix for most flowers and all vegetables.